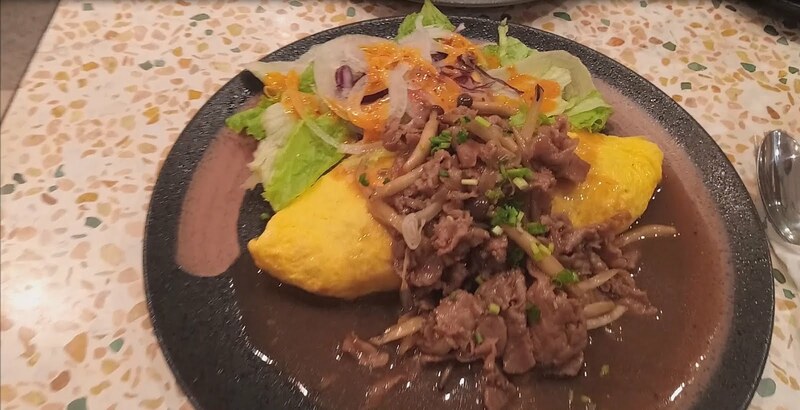 come with a rotatable door and flippable mast. 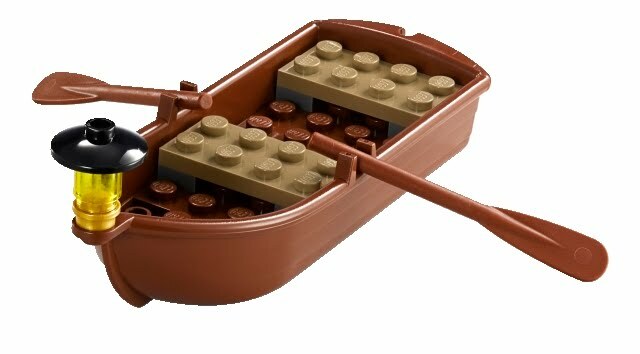 also included a rowboat, a treasure chest, golden coins, golden bars, gems and apples. 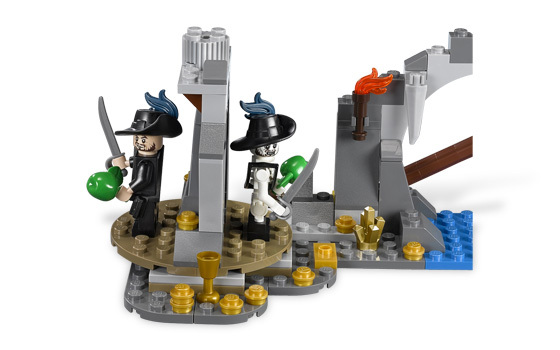 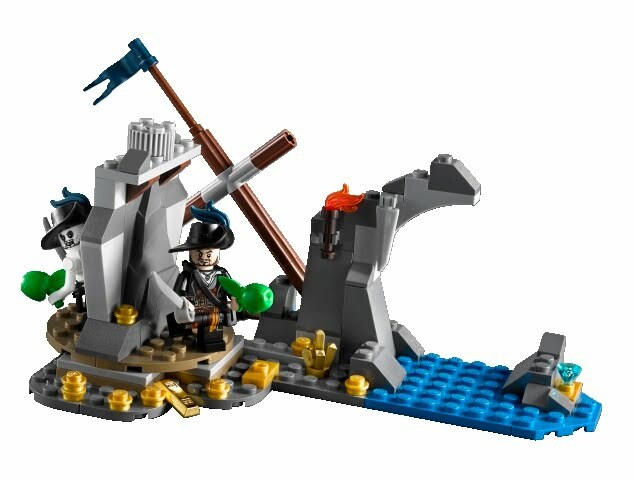 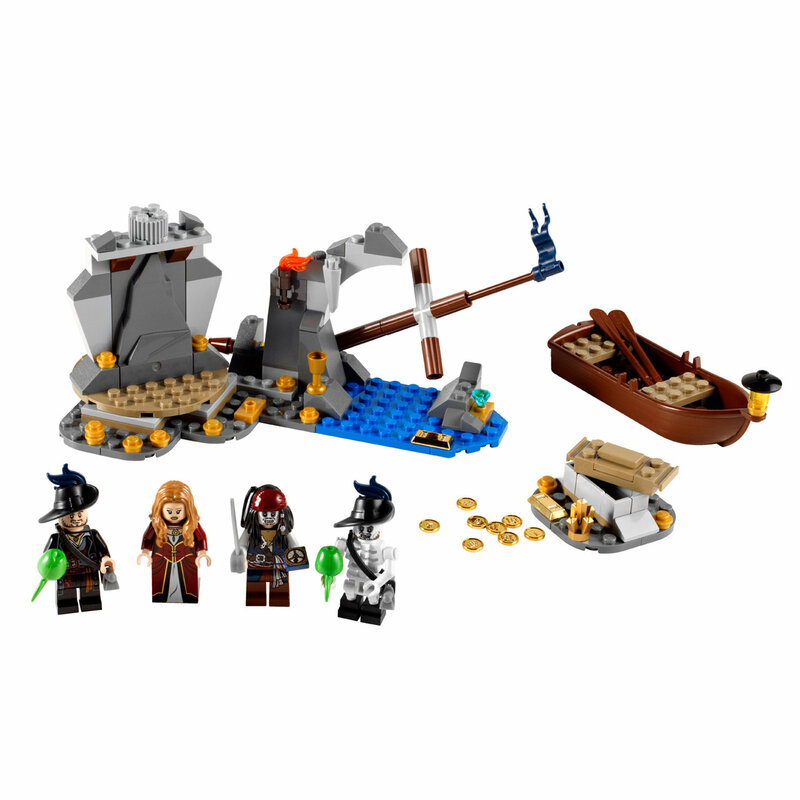 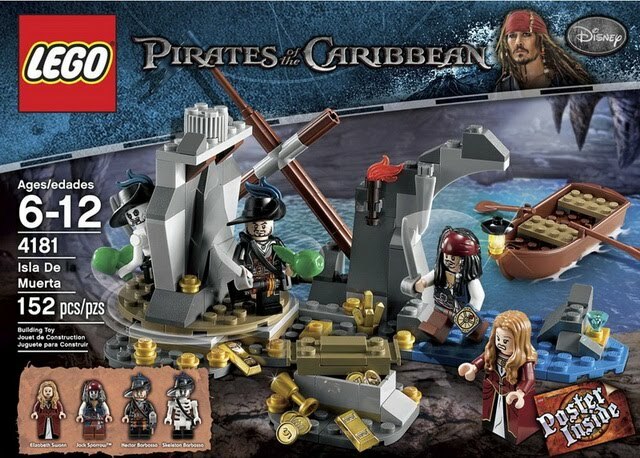 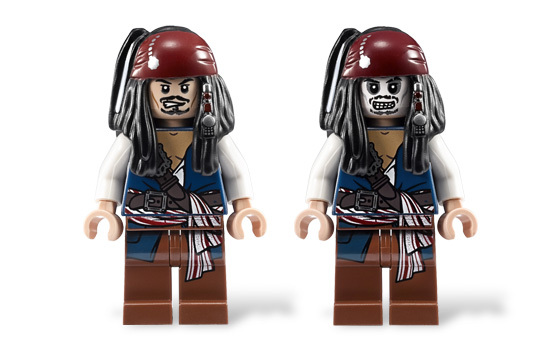 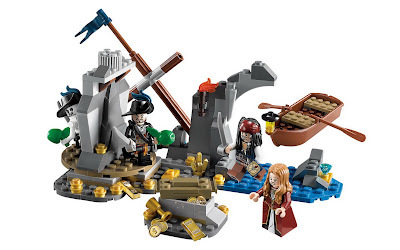 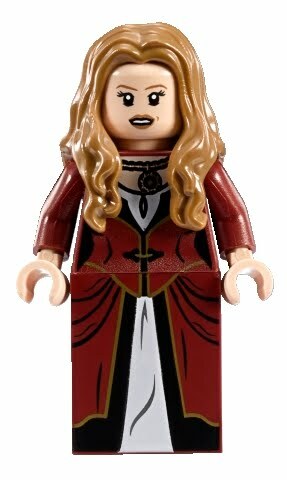 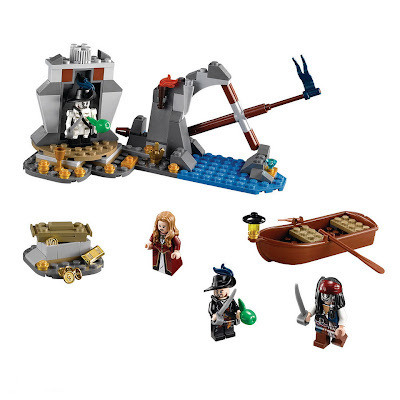 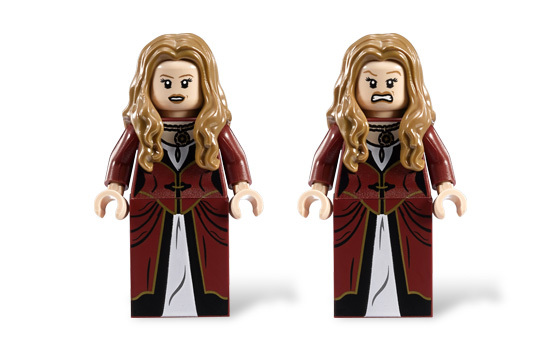 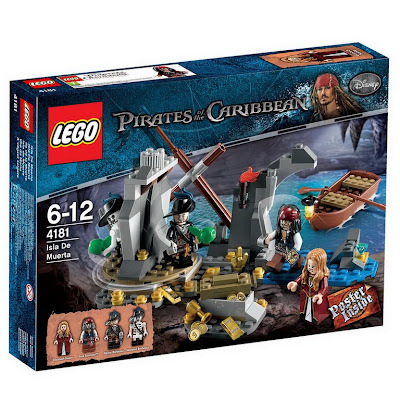 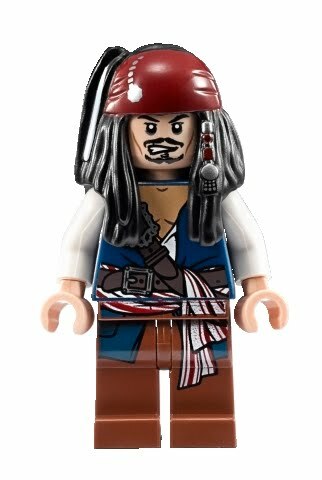 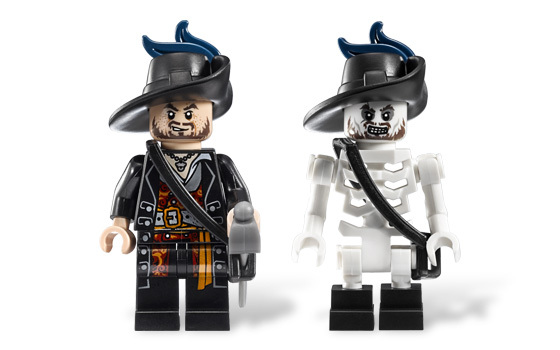 minifigs included a jack sparrow minifig, an elizabeth swann minifig, an hector barbossa minifig and a skeleton barbossa minifig.